Congratulations! The Church of St. Bernard rejoices with you at the birth of your child. We look forward to meeting with you to prepare for the Baptism of your son or daughter. To arrange for a Baptism, please visit the rectory and speak to the parish secretary during office hours (Monday – Friday 9am-5pm). Before doing so though, we ask that you carefully read the information below. 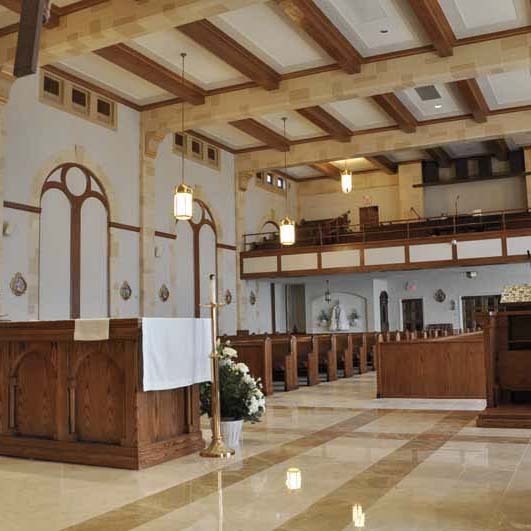 The Sacrament of Baptism is celebrated at the Church of St. Bernard on the third Saturday of every month in Spanish at 12:00 pm and in English at 1:30 pm. Adults interested in receiving the Sacrament of Baptism are welcome to join the Rite of Christian Initiation Program (RCIA) here at St. Bernard’s. Click here to learn more. The sacrament of Baptism is the first of three sacraments of Christian initiation. Your child’s initiation into the Catholic faith begins with Baptism, continues with their reception of the Eucharist at First Holy Communion, and is complete when they are sealed with the gifts of the Holy Spirit in Confirmation. Holy Baptism is the basis of the whole Christian life, the gateway to life in the Spirit, and the door which gives access to the other sacraments. Through Baptism we are freed from sin and reborn as sons and daughters of God; we become members of Christ, are incorporated into the Church and made sharers in her mission (Catechism of Catholic Church 1213). Following the preliminary meeting at the rectory, first-time parents and godparents are required to attend a 1 hour baptismal preparation session. 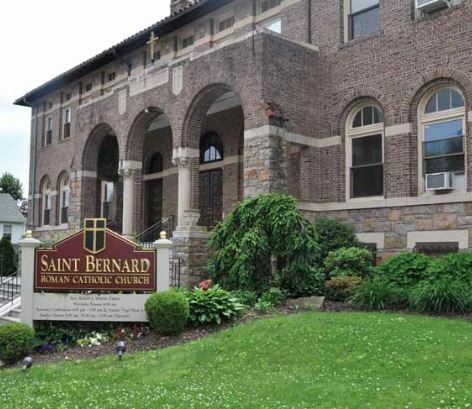 At The Church of St. Bernard, the preparation session is offered in both English and Spanish on the last Friday of every month in the Community Room, located in the main church building. The Spanish session meets from 7:00 pm – 8:00 pm and the English session from 8:00 pm – 9:00 pm. First time parents and godparents are required to attend this session prior to the scheduled day of Baptism. 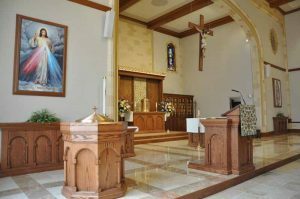 If the Godparents live a far distance away, they can attend the Baptism preparation session at their own parish and bring an attendance confirmation note from their pastor. The role of the godparents is to assist the parents in training their child in the practice of the Catholic faith throughout the youngster’s childhood and adolescence. A person who is not a practicing Catholic is not an appropriate choice for this role. According to Church Canon law, godparents must have celebrated their 16th birthday, be Roman Catholic, and have received the Sacraments of Baptism, First Holy Communion, and Confirmation. Godparents are required to bring to the Baptism preparation session a certificate or letter from their home parish stating their suitability for this responsibility. While a non-Catholic Christian cannot serve as a Godparent at the Baptism, he or she may serve as a Christian Witness. 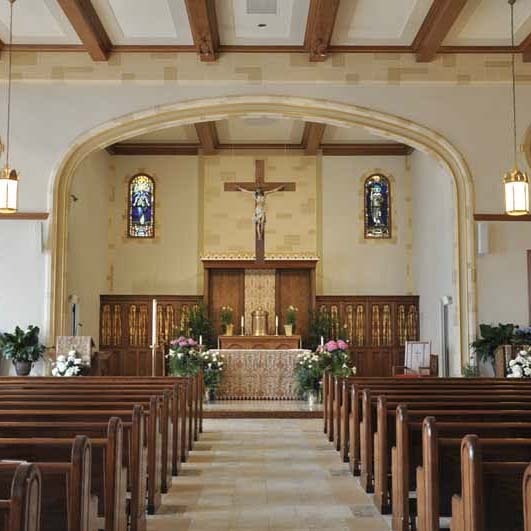 Before extending this invitation to the non-Catholic party, the parents are asked to speak with a priest here at St. Bernard’s to discuss the reasons for this choice. In such a circumstance, the God-parental reponsibility for the Christian education of the baptized child belongs to the sole Godparent who is a member of the Catholic Church. An un-baptized person (Jewish, Muslim, etc.) cannot act as a Godparent or Christian Witness at a Catholic Baptism. At least one Godparent must be present for the Baptism ceremony. At most, two are permitted, one being male and the other female.